Polish Obsessed: A Belated Happy New Year! 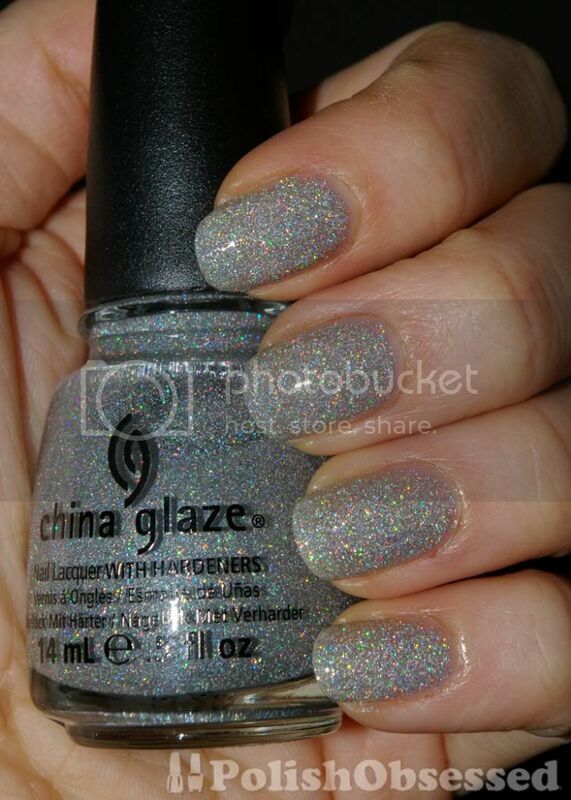 Today I have my New Years Eve mani, China Glaze Glistening Snow. This polish really surprised me, at first I wasn't too crazy about it, then I just had to have it! 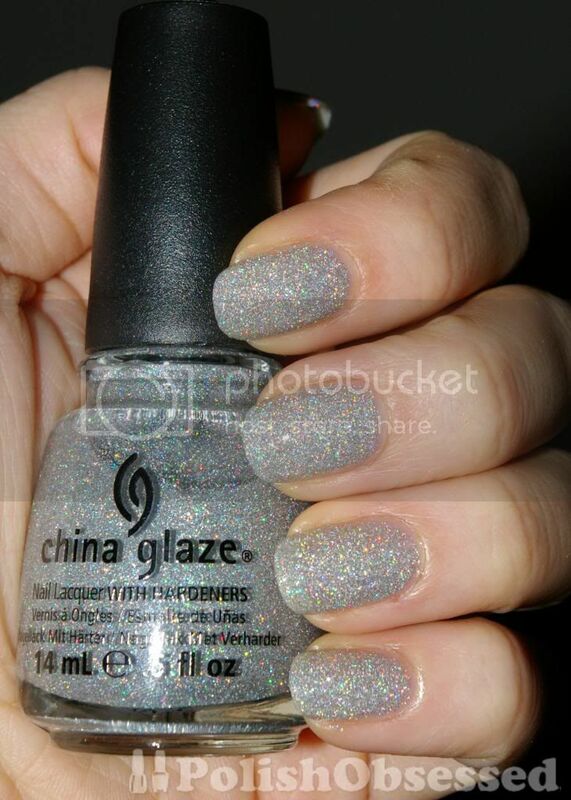 This polish is composed of silver holo/prismatic glitter in a clear base. This is a scattered holo/prismatic glitter effect. I had originally thought is would take multiple coats to be opaque, but all I needed was two. That being said, the formula was great! Very easy to manage and apply, not too thick or too thin, just perfect. Depending on your lighting source you may see more or less of the prismatic shimmer, but I do believe it is visible in almost every lighting setting. I love golds and glitters for New Years and originally was going to apply China Glaze Angel Wings, but changed my mind last minute ad I am glad I did! This polish does dry to a matte-ish finish due to all the glitter. I added one coat of Ask Cosmetics top coat and then one layer of Seche Vite to add some more gloss and speed up the dry time. I ended up adding one final coat a few days later for a refresh before New Years Eve ( I used an OPI top coat) and the gloss was just outstanding! I would definitely recommend multiple layers of topcoat for an awesome shine. I find in the above photos the polish appears to be more grey than silver, I think this has to do with the fact that the polish wasn't as glossy in this photo and it was not reflecting well. I will have some more photos Monday with the extra layers of top coat and Bundle Monster nail art! Hey, Danielle! I loved your top five. Totally agree!